This rock paper scissors switch gift exchange game is the perfect twist you need to mix things up at your holiday party this year! Instead of stealing a gift from someone you want, this game adds an element of fun and competition with a little rock paper scissors challenge to win the right to steal the gift! 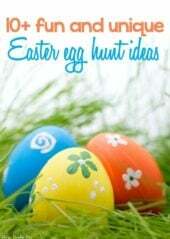 Fun for kids, adults, and everyone in between! Every year I either attend or host a party that has some sort of gift exchange game! And every year in the past it’s been the same thing – pick a number, that person picks a gift and unwraps, and the next person can unwrap or steal. Honestly a white elephant gift exchange is one of the most fun Christmas party games, but it’s way more fun to mix things up each year! 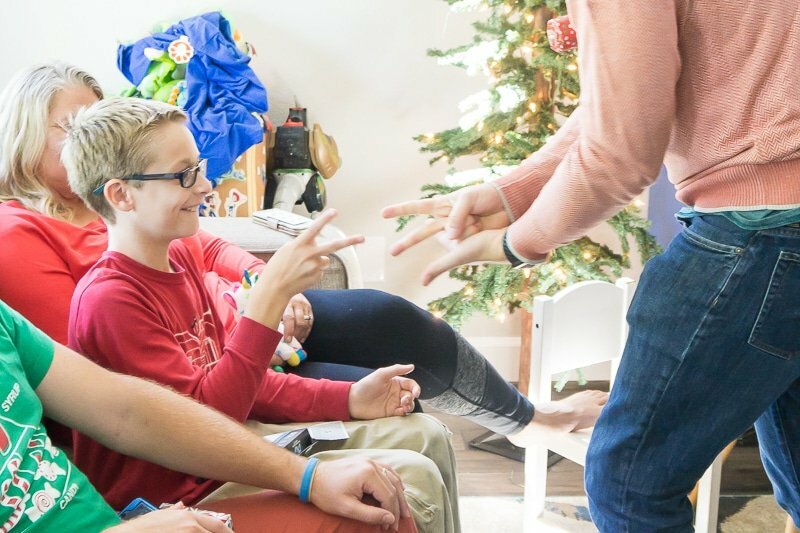 This rock paper scissors gift exchange game is just a little bit of a spin on a traditional gift exchange but the little bit of spin is what sets it apart as being one of the most fun gift exchange games ever! Because guess what – if you want to steal someone’s gift, you have to beat them in a rock paper scissors battle! And that right there makes it way more fun. 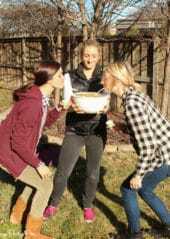 Play this game with a few of these Christmas games for one incredible Christmas party! Rock Paper Switch is as I mentioned just a small twist on a traditional gift exchange game – the twist being that you have to play rock paper scissors against somewhere to try and steal their gift. Adding this element not only makes it way more fun, it also gives a person a chance to keep their gift if they really love it! It also keeps more people involved in the game as the game progresses, even if they don’t have the best gift. Ask everyone to bring one wrapped gift. If you need gift ideas, I have over 100+ great white elephant gift ideas – for men, women, and unisex games! 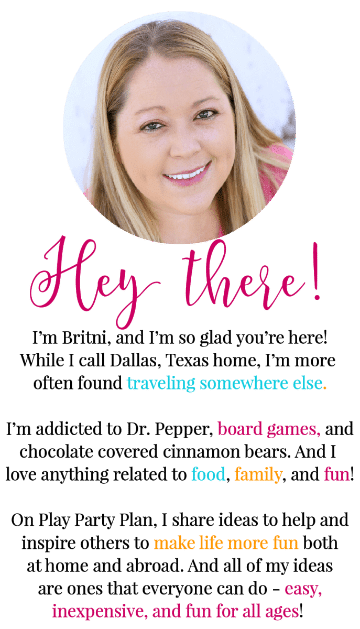 And print out the free printable game sign (at the bottom of this post) and have it in a frame or somehow displayed prominently on the gift table. When people arrive at the party, have everyone place their gift on the table and leave them there until it’s time for the game to get started! 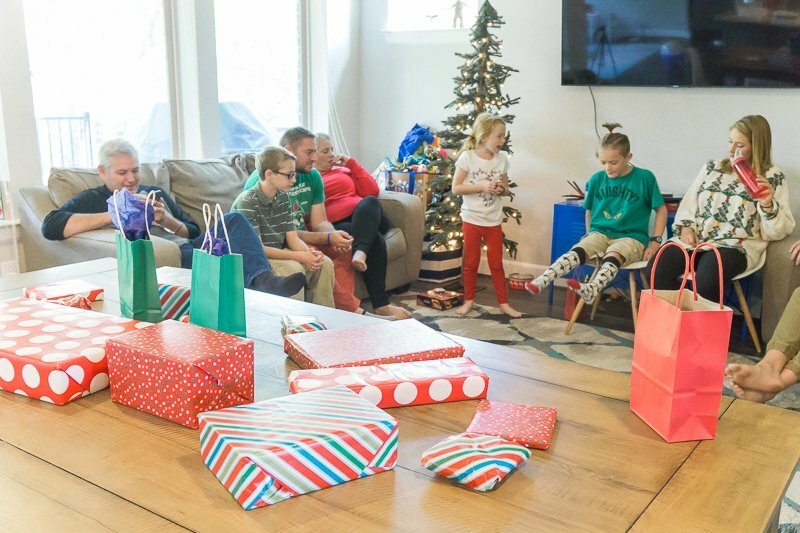 Right before the game gets started, count how many gifts there are (really counting the number of people playing) and pull two sets of matching playing cards – one card for each gift. So for instance if there were twenty gifts, you might pull the A-K of hearts and the A-7 of Spades (20 cards total) from two different decks. Keep the two different decks separate – you’ll give one set of cards out to the players and keep one to determine whose turn it is. Playing this game is a lot easier than it may sound from the introduction. Watch the video below for a quick demonstration of how it works then make sure to read through all of the instructions in detail! 1 – Give everyone one of the playing cards from one of the sets of cards and have them sit in a circle. Once people are sitting, hand out the gifts from the table at random making sure that everyone receives a gift. 2 – Pull a playing card from the second set of cards. Whoever has the matching card will go first. 3 – The player can choose to open the gift they have or they can choose to try and steal someone’s gift. Challenger get to switch their gift with the person who they challenged and open that gift if it’s not already open. The challengee gets the gift from the challenger but does not open it (if still wrapped). That round is then over and you move onto the next turn. Challenger still opens their gift but are stuck with the one that they have. Take the gift from the person who challenged them (if they want) and open it. Then the turn is over. They can keep their gift and open it, then that turn is over. They can go challenge someone else to a game of rock paper scissors with the gift they currently have. If they do a rock paper scissors challenge, basically treat it like a new turn and follow the same rules as indicated above. They just become the new challenger. Both players have to switch their gift with the person on their right. Challenger opens the gift if it’s not already open. 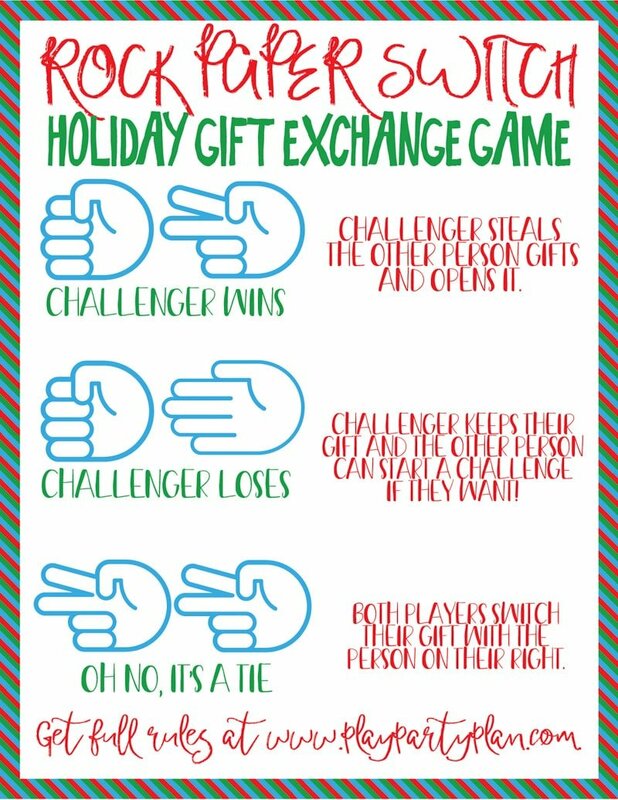 Note: If a challengee decides to challenge someone else to rock paper scissors, the turn and rock paper scissors challenges continue until either the challenger wins rock paper scissors or the challengee keeps their gift (or takes the one from the challenger). This is considered one turn and once all of the challenges for that turn are over, you move to the next turn as indicated below. 4 – Once a “turn” is over, repeat the same thing again. Choose a playing card and whoever’s card matches will follow the same process as above. Choose to keep/unwrap their gift or challenge someone. 5 – Keep playing until all playing cards have been chosen and everyone has had a turn to be the original challenger on a turn. It doesn’t matter if the person whose matching playing card is flipped has already played rock paper scissors or even challenged someone to a game of rock paper scissors (i.e., been a challengee and turned into the challenger), they still get another turn to initiate the round of play. 6 – At the end of the game if anyone’s gift still has not been unwrapped for one reason or another, unwrap the gifts and keep the gift you have. Enter your first name and email address below to get the free printable game card (not essential but definitely helpful, especially at the beginning of the game). If you do not see the form below, click here to get to it. 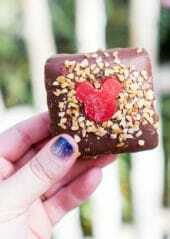 Want other gift exchange game ideas? 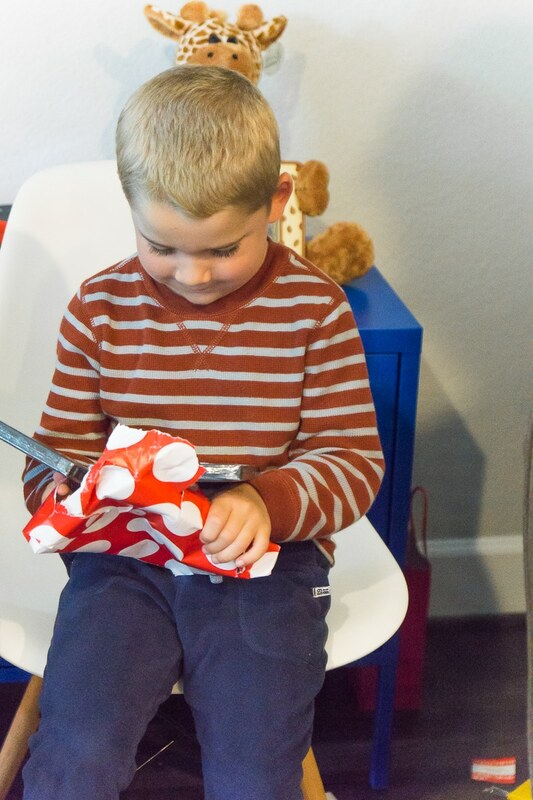 These are some more fun twists on a traditional gift game you’ll love! 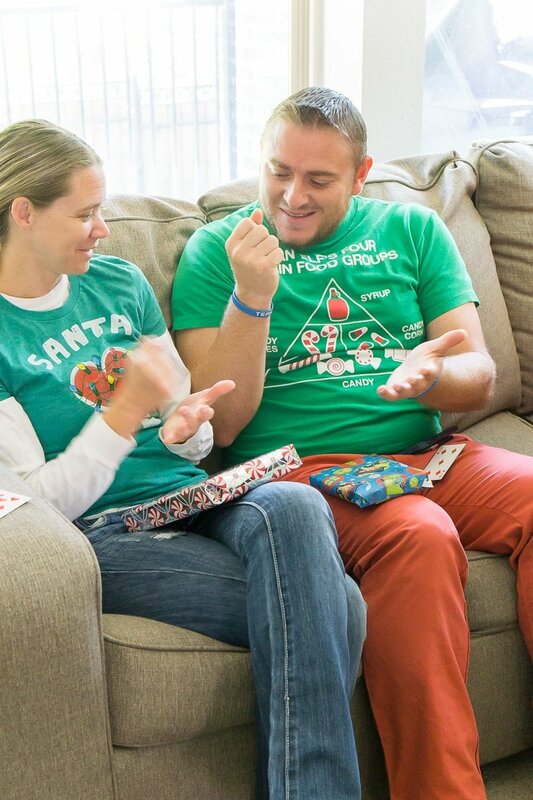 Don’t forget to pin this Rock Paper Scissors Switch gift exchange game for later! I can’t find the videos to your games. I am having a real hard time understanding how they actually work… can you send them to me?